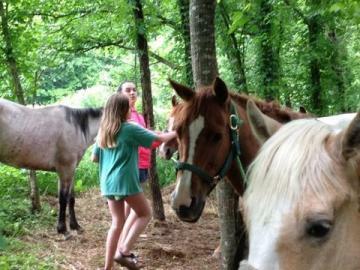 Horse Riding & More | OK Trading Post in Mountain View, AR. 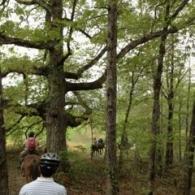 If you are looking to do something fun this year then get your reservations for a mountain trail ride today! 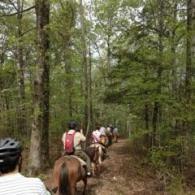 Nestled in the scenic beauty of Mountain View, AR our trails are beautiful for sight-seeing while riding on horse back. For any occasion including birthdays, family reunions and more! We have approximately 45 beautiful horses ranging in a variety of sizes. Our headquarters are located in the Historic Pioneer Dwelling deep within the majestic mountains of Arkansas. 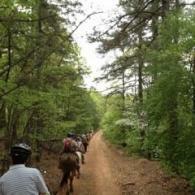 As part of our services, we can accommodate as few as 2 or as many as 30 per trail ride. For birthdays and other occasions, we offer party pony rides or trail rides and a cookout! We can also bring our party ponies to your location for picnics, festivals and more! Enjoy fun hayrides for the whole gang, too. For our guests that want the full outdoor experience, we can end our day of horse riding with a night of camping under the stars. 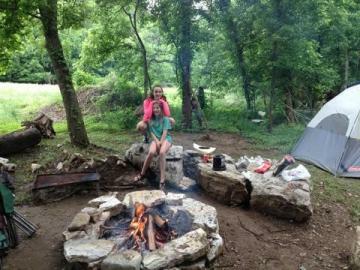 We provide tents along with a southern style dinner and breakfast! Our dinner includes grill fired steak, baked potato, corn-on-the-cob and dessert. For breakfast we cook down-home biscuits and gravy, eggs, sausage and bacon. Best of all, we can offer blue grass music! 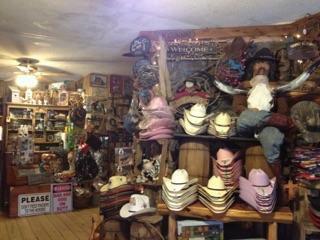 Be sure to stop by our gift and tack shop to find a variety of things we are sure you will love. Our gift shop offers purses, belts, wallets, novelty books, cards, candles and so much more! Our tack shop offers a variety of rodeo equipment, English & Western tack for horses, saddles, blankets, pads and anything you need for your horse! Take a moment to browse through our horseback riding expeditions in the heart of Mountain View! 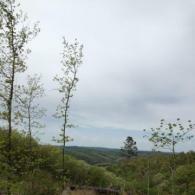 These beautiful riding trails provide beautiful scenery of nature that will leave you breathless. If your up for camping, you can sleep beneath the stars after a day's journey!